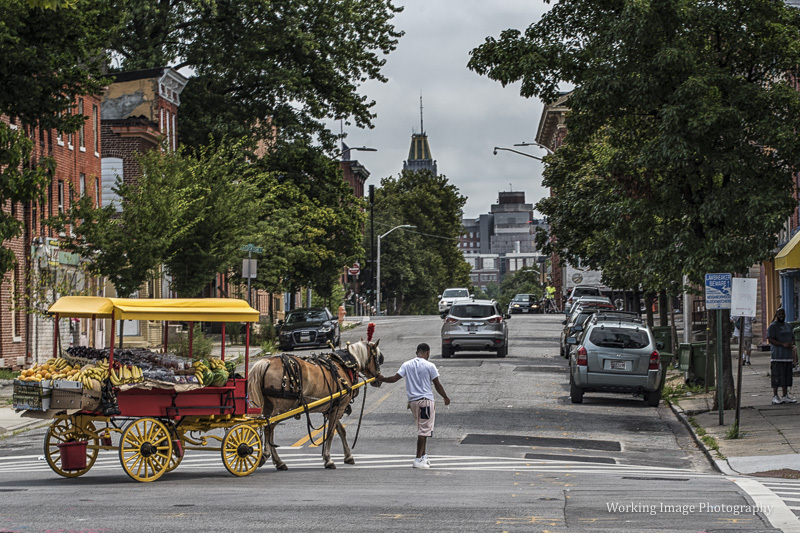 Baltimore is the last city in the country to have working arabbers - horse and wagon vendors of fruits and vegetables. Arabbing has a long history in this city, and in the African-American community. The city was once full of horses and stables, and it's been estimated that anywhere from two-or-three dozen to a couple of hundred arabbers were working the streets during the 1950's and 60's. Times have changed, and only three stables remain. 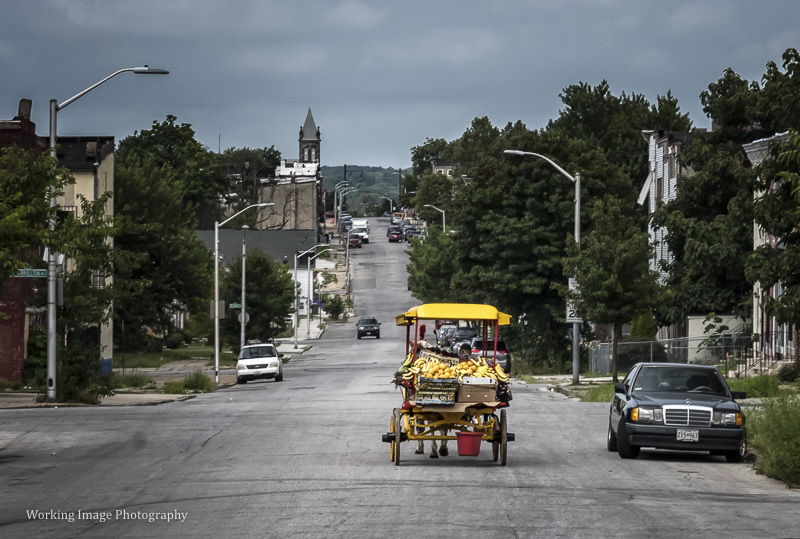 Arabbers still bring their wares to parts of the city - food deserts - where there are no supermarkets and no place to buy fresh produce for those with limited mobility - whether due to illness, injury, or old age, or simply a lack of transportation. But the number of arabber wagons on the street has dwindled to three, plus an additional wagon that goes out only on weekends. When I first met members of the arabber community, they talked about their “history of exploitation.” Writers, photographers, and filmmakers had made their way to the stables, and to the arabbers themselves, but, despite the resulting articles, photographs, and films, the arabbers felt they had received nothing in return. “They got what they wanted, and we got nothing,” was a common refrain. Despite this, for the most part they accepted my presence and allowed me to photograph them as they went about their work. On Saturday, April 7, 2018 we'll be hosting a "block party" for the arabbers at an art gallery that was once a stable. Our goals are simple: we want to raise money for the stables, and also to provide a forum for the men and women who work in the stables and are involved in the arabbing tradition. 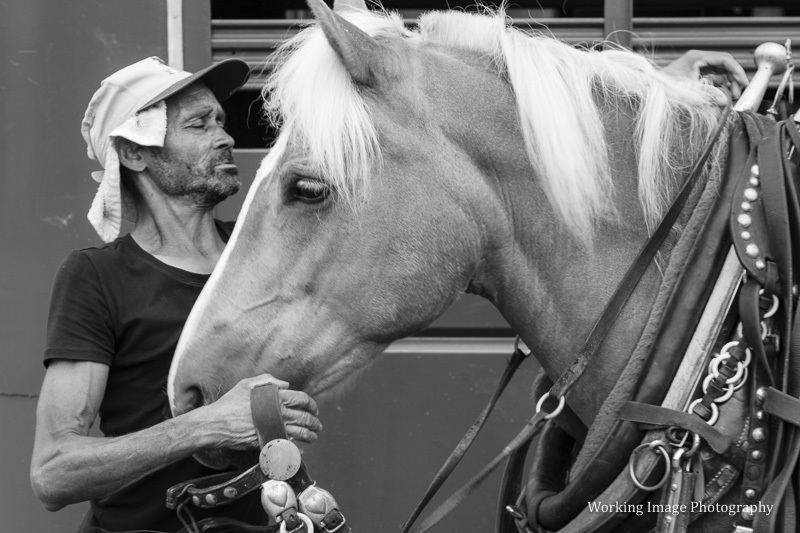 The stables will provide pony rides, an arabber wagon, food, and t-shirts. When you put your child on a pony, or buy food or a t-shirt, you'll be helping to support the stables. We'll have an exhibit of artwork related to horses and arabbing: paintings, sculpture, paper cuts, and photographs. Some of the work was created especially for this event, and some of the work comes from the archives of the Arabber Preservation Society. All artwork will be for sale, and a portion of the proceeds from each sale will be donated to the stables. In addition, representatives from all three stables will discuss the history and tradition of arabbing, its current state of affairs, and their hopes and plans for the future. They'll also answer your questions. The block party runs from 12 noon to 5:00 pm, and takes place at MAXgallery, 126 N. Madeira Street in Baltimore. Pony rides and food will be available from 12 - 5. The arabber talk and question-and-answer session begins at 2, live music at 3:30. We'll finish the day at 4:30 with an arabber crankie show. We hope to have at least one person - maybe more - to deliver the distinctive arabber holler. *A crankie is a hand-scrolled panorama, which appears one scene at a time as a storyteller tells her tale.